Properties in Park Avenue average 4.6 out of 5 stars. READY FOR SUMMER! Hiking, biking, mountain weather! Property 8: READY FOR SUMMER! Hiking, biking, mountain weather! PARK CITY UTAH - Great Family Ski & Vacation Location!! - Low Rates Available!! 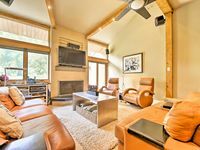 Property 11: PARK CITY UTAH - Great Family Ski & Vacation Location!! - Low Rates Available!! 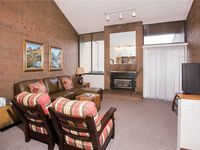 Iconic Park City Condo- Ideally located for the ultimate Park City experience! Property 15: Iconic Park City Condo- Ideally located for the ultimate Park City experience! POOL and on the golf course. Great summer location for enjoying all Park City has to offer. Close to the base of Park City Mountain. Huge 3 bedroom plus loft. Affordable for large family. Private laundry. Carport. Close to grocery, pharmacy, Starbucks and more. Property 17: POOL and on the golf course. Great summer location for enjoying all Park City has to offer. Close to the base of Park City Mountain. Huge 3 bedroom plus loft. Affordable for large family. Private laundry. Carport. Close to grocery, pharmacy, Starbucks and more. Best Location in Park City...walking distance to PCMR! Property 18: Best Location in Park City...walking distance to PCMR! Property 23: newly remodled. nice and clean. ready to go. easy check in and out. **BEAUTIFUL PARK AVE CONDO** HOME BASE FOR SUMMER!! Property 27: **BEAUTIFUL PARK AVE CONDO** HOME BASE FOR SUMMER!! We had two kids and two adults on our trip. The size of the unit was very comfortable, and the location was great. We walked to the slopes most days, and there is a Starbucks across the street. We will definitely have this unit on our list for our ski trip next year!